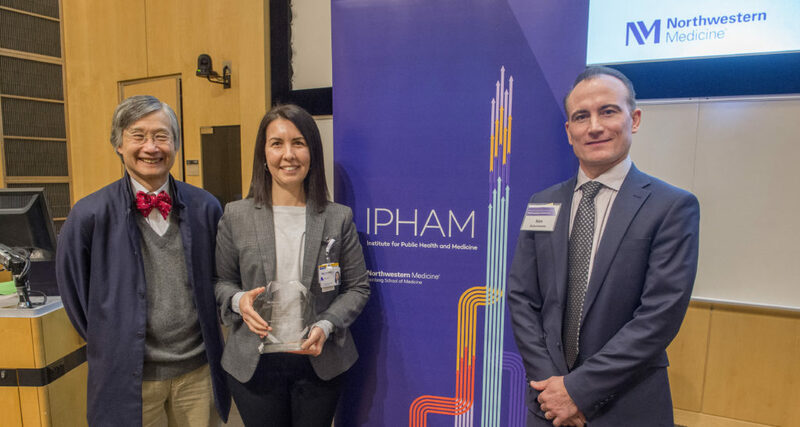 Improving the health of all populations — from lung cancer survivors in the Chicago area to trauma victims in Bolivia and LGBTQ+ groups in Nepal — was at the heart of Feinberg’s inaugural IPHAM Population Health Forum, where scientists and community partners presented their work in a wide diversity of areas. 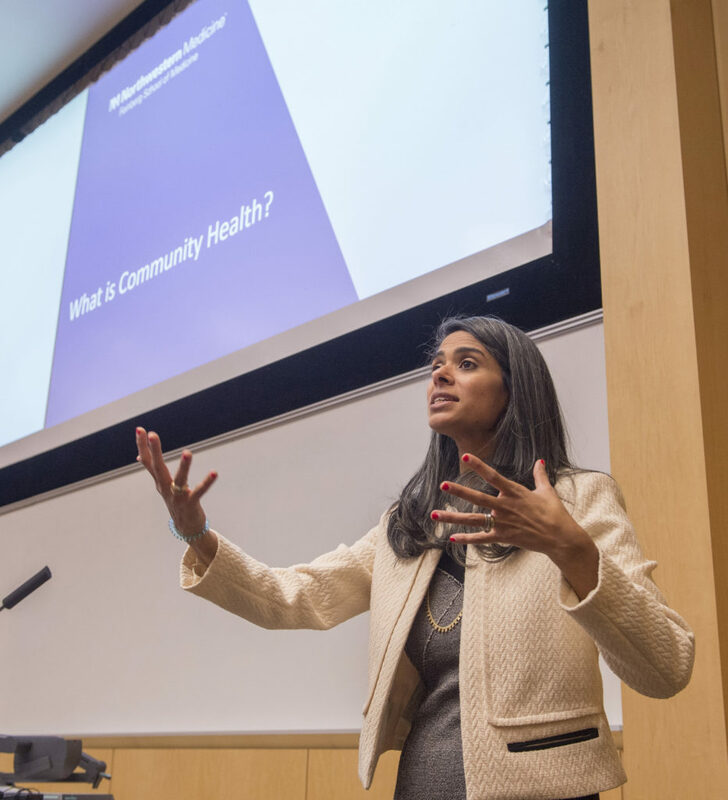 The forum, held December 4 and attended by faculty, staff, students and community partners, was hosted by the Institute for Public Health and Medicine (IPHAM), Feinberg’s home for public health activities. 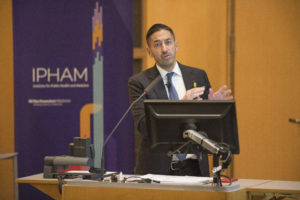 The event’s keynote speech was delivered by Sandro Galea, MD, MPH, DrPH, dean and Robert A. Knox Professor at Boston University School of Public Health, who discussed the opioid, gun and obesity epidemics and the vital role of population health research in curbing them. In particular, Galea discussed four key principles of population health science and how they can provide insights into the epidemics. He also cautioned against seeking simple solutions. Galea was introduced by Ronald Ackermann, MD, MPH, director of IPHAM and senior associate dean for public health. Earlier in the day, Ashti Doobay-Persaud, MD, assistant professor of Medicine in the Division of Hospital Medicine and associate director of Global Health Graduate Education in IPHAM’s Center for Global Health, kicked off the forum with a seminar on “glocal” health, which she defined as bringing a global health approach to communities everywhere. Doobay-Persaud also shared examples of Northwestern investigators involved in such work, including Mamta Swaroop, MD, ’10 GME, associate professor of Surgery in the Division of Trauma & Critical Care, who has worked to improve trauma care in both Bolivia and on Chicago’s South Side. “At Northwestern, we like to think about it as the individual, their community and the globe. And when we teach it, we teach it from that perspective — where all of these interactions and intersections matter, all with a goal of health equity,” Doobay-Persaud said. During a community health seminar, Prakash Jayabalan, MD, PhD, assistant professor of Physical Medicine and Rehabilitation, teamed up with Kathleen Boss, director of Special Initiatives at Gilda’s Club, a nonprofit cancer support organization, to share an example of a fruitful collaboration between academia and community partners. The two discussed their project devising an intervention to increase physical activity among lung cancer survivors in Chicago, for which they received a seed grant from the Alliance for Research in Chicagoland Communities. The afternoon poster session showcased a range of projects, from creating a dementia-friendly library on Chicago’s South Side to developing an international registry for craniopagus twins born around the globe. Hannah Weiss, a medical student, conducted a literature review on the characteristics of patients receiving neurosurgical care in low and lower-middle income countries. Weiss and her mentor, Roxanna Garcia, MD, MS, MPH, a resident in Neurological Surgery, found that beyond age and gender, few studies included demographic data on the neurosurgical patient population. The poster session also included multiple projects from Second Opinions, Feinberg’s student-run pro-bono consulting group. Margaret Shyu, a third-year medical student and past president of the organization, presented the group’s project on developing solutions to increase referral volume to CHI+CARE, a program which connects HIV-positive patients in the emergency department to HIV treatment. Srikanth Reddy and Ryan Schusler, both second-year medical students, shared their consulting work with Treatment Alternatives for Safe Communities and ACCESS Healthcare, a federally-qualified health center. The two organizations are creating a pipeline to help recently released detainees from Cook County Jail immediately receive healthcare and connect to resources, such as housing and childcare. The Second Opinions team conducted an analysis of the current workflow and produced a targeted survey and brochure of resources that the organizations are now using to help improve patient health and re-entry to society. 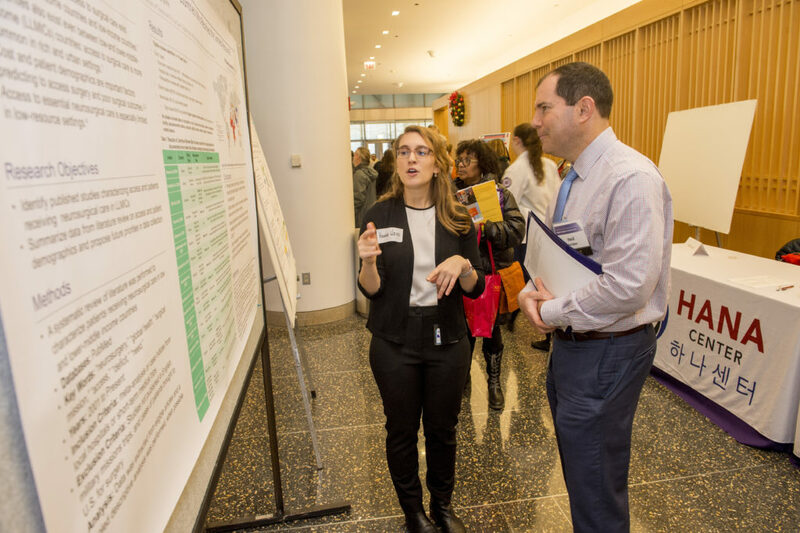 Among more than 100 other medical student, staff and faculty presenters, the poster session also included community partners, such as Chicago Public Schools, CJE SeniorLife, Pastors 4 PCOR and Howard Brown Health.